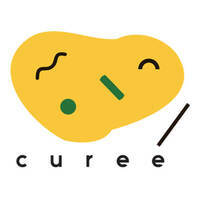 The name Cureé is pronounced ‘ka-ray’ which means ‘curry’ in Japanese. This speaks of Cureé’s speciality in all things Japanese curry, especially those that are prepared Hokkaido-style. One is welcome to sample the Hokkaido-style curry or explore other flavours that this café strives to deliver from the Land of the Rising Sun through okonomiyaki waffle, natto rice, and many more.